The CEO’s Mindset: How to Break Through to the Next Level delivers an executable plan on how to find your heartbeat within your business. Vinnie demonstrates how to invest in yourself and your business as an entrepreneur. 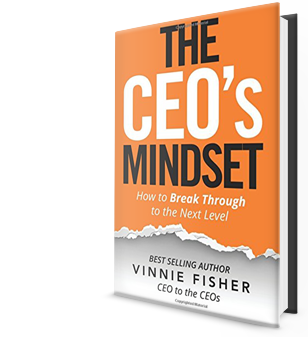 The CEO’s Mindset implements practical advice that will establish an execution attitude allowing you to skyrocket in areas of your life, leadership, and business. Vinnie creates a solution to improve each of the core areas of your business that need to be unlocked. The CEO’s Mindset will help you to achieve success by opening your mind and giving you a map to help. False Profits: It’s Not the Top Line that Pays You! 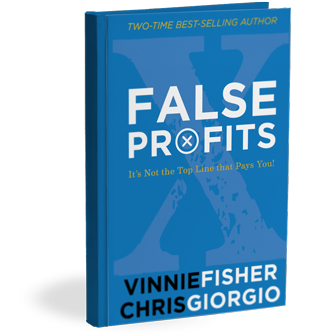 False Profits is unique because it is written by a CEO and CFO, who, historically, have very different perspectives when it comes to running a business. However, with much debate and testing of theories, they’ve come together to figure out how businesses can make true profit. Since their revelation, they felt required to release this book so that they can help other owners succeed with their REAL numbers. 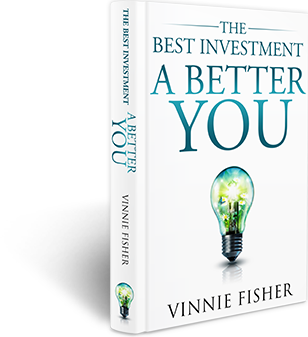 Vinnie’s first book, The Best Investment: A Better You is a roadmap to developing the best version of yourself through self-improvement and renewed thinking. The book delivers a series of impactful lessons and truths Vinnie learned on his own journey through life, and covers topics like improving your belief in yourself, cultivating a positive thought ratio, developing more meaningful relationships, and reaching your full potential through progress and perseverance. Through the use of personal stories, exercises, and resources for further exploration, Vinnie creates an engaging, insightful book that is equal parts prescriptive how-to and inspirational personal philosophy.